What Technology Is Disrupting The Construction Industry? The construction industry is one of the UK’s fastest growing industries, and the global construction market is forecasted to grow by over 70% by 2025. Although there are exciting times of growth ahead for the industry, there are also challenges that come with working in the industry too. 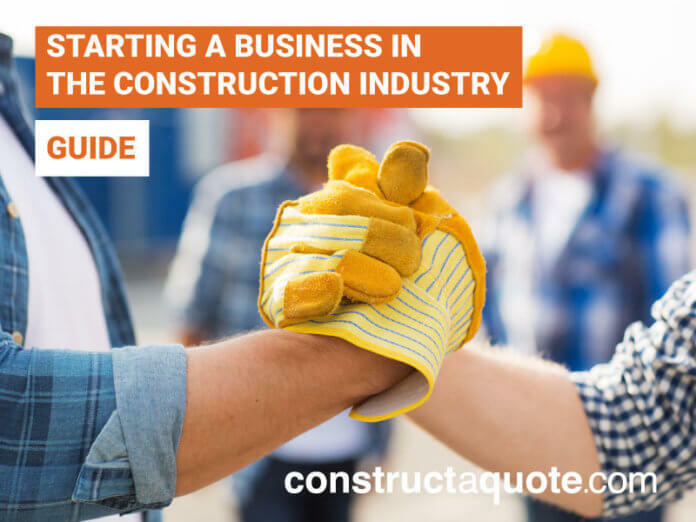 When starting out in construction, you need to decide if you’re going to establish yourself as a sole trader or limited company and then register your business with HMRC and companies house. 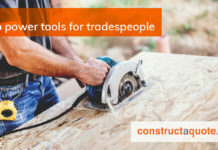 Setting up as a sole trader is usually the preferred choice for stand-alone Tradesmen as this means less administration when it comes to managing taxes and lower costs compared to that of a limited company. All in all, it’s easier for busy tradesmen. Did you know? Many people presume a sole trader can’t employ staff – but this is not the case. As a sole trader, you run your business as a self-employed individual, and you can keep all your business profits after you’ve paid the correct amount of tax. However, you are also personally responsible for any losses your business makes so it’s important to keep your accounts in check. To register as a sole trader, you need to register for self-assessment with HMRC (Her Majesty’s Revenue and Customs) and file a tax return every year. Keep up to date records of business sales and expenses. Submit a self-assessment tax return every year. Pay income tax on profits. You must register for VAT if your turnover is over £85,000. However, you can also register voluntarily if it suits your business. E.g., if you sell to other VAT-registered businesses and want to reclaim the VAT at the end of the year. If you decide to run your business as a limited company, this means the company is legally separate from you, and all of the business finances are kept separate to your personal finances. Like sole traders, you keep all profits after paying the correct amount of tax. Details on the companies shareholders (at least one) as well as their agreement to create the company and the written rules. This is known as the memorandum and articles of association. Details of the people in control of the business and how many shares they hold. determine your SIC code (this is a list of codes issued by companies house to identify what the company does). Registering your company with companies house costs between £12 and £40 and can be done online here or via post. The Construction Industry Scheme (CIS) is a tax deduction scheme which involves tax being deducted from payments which relate to certain types of construction work. The CIS covers most construction work to permanent or temporary buildings as well as civil engineering work like roads and bridges. You need to register with HMRC for the Construction Industry Scheme (CIS) if you’re working in the construction industry as a subcontractor or contractor. Under the Scheme (CIS), contractors deduct money from subcontractor’s pay and pass it to HM Revenue and Customs (HMRC). The deductions are counted as advance payments towards the subcontractor’s tax and national insurance. If you don’t want advance deductions to be made, you can apply for ‘gross payment status’ when you register for CIS. If you are a contractor, it is compulsory to register. It is not compulsory if you are a subcontractor. However, you will have to pay a higher rate of national insurance. your business doesn’t do construction work, but you spend £1million a year (on average) on construction work within any 3-year period. If both apply to you, you must register for both. Register for CIS here. Once your business is registered and set up, you should aim to get your finances and tax affairs in order as soon as possible. Doing your taxes correctly is vital for your business to stay on track and flourish – as well as keeping HMRC happy! Keep all records of invoices, expenditures and receipts clearly filed in date order. Keep on top of deadlines to avoid fines (up to £300) for submitting a tax return late. Hire a bookkeeper or accountant to help you keep on top of things and submit your tax return for you. Keep an adequate amount of money aside for tax each time you get paid to prevent a tax bill coming as a shock. Whatever business you’re setting up, it’s always a wise idea to separate your personal and business funds to manage your money better and make things easier when it comes to filing a tax return. If you’re a sole trader, then your personal and business affairs are treated as one for tax purposes. You are your business, and you are accountable for any losses and tax owed. This means your personal and business funds can be kept in the same place – as long as your bank allows. As a limited company, there is no legal requirement to open and operate a business bank account. However, you will find it very difficult to trade and manage your business successfully without one. A separate account will allow you to clearly record and trace all business costs and income without your personal expenses getting in the way. Shop around for the best bank account options so that you can take advantage of the best deals. These may not necessarily be with your personal bank. Competency card schemes such as the ‘Construction Skills Certification Scheme’ are a way of proving you have certain skills and a certain level of training in the industry. There are many different types of cards available, and you will need to apply for the one that suits your qualifications ( NVQs and SVQs etc.) as well as the work you will be doing. You can apply at CSCS, but you must first pass a health, safety and environment test and apply within 2 years of passing the test. Every year, construction workers and members of the public are killed, injured or made ill as a result of on-site accidents that could have been prevented with the correct health and safety measures. Health and safety are relevant to all businesses. So, if you are an employer – or are self-employed – you are responsible for the health, safety and welfare of employees and any others who may be affected by the work you do. This includes employees, customers, and members of the public. To protect the welfare of yourself, your employees and members of the public, you should be familiar with the health and safety guidelines within the construction industry and familiar with ways to prevent accidents or illness from occurring. The CITB (Construction Industry Training Board) health, safety & environment test helps raise standards across the construction industry, and different tests have been created to meet the needs of different trades and professions. If you are working with specialist subcontractors such as electricians and plumbers, they will know the safety risks associated with their specific trade and should, therefore, take all precautions necessary to prevent danger in their area of expertise. All HS&E tests cost £19.50, are available in multiple languages, and can be booked here. As stated in the Construction (Design and Management) Regulations 2015, a construction phase plan must be completed for every new construction project. You can view and print off a construction phase plane here. Construction contractors and subcontractors have the important role of planning, managing and monitoring on-site work with the aim of ensuring any risks are controlled and reduced as much as possible. They must be able to demonstrate the skills, knowledge and experience to carry out work safely and avoid any risk to health. consult and engage with workers about the risks and how they are being manage. Before you start doing any work in the construction industry, you should seriously consider having the right insurance policies in place to prevent you from expensive claims and legal costs in the event of an accident or damage. Although not a legal requirement, public liability insurance could be considered one of the most essential forms of business cover. It provides you with financial protection against the cost of personal injury compensation and also covers you against accidental property damage claims made by members of the public and other third parties. If a member of the public was struck by a falling ladder on site and you do not have public liability insurance, you would be responsible for the costs associated with the claim. Employers liability insurance is a mandatory legal requirement if you employ people within your business, and is one of the only mandatory business and work-related insurances in the UK. Almost all small business owners and self-employed people must have employer’s liability insurance to operate legally. Employers’ liability insurance is an insurance policy that protects your business against the costs of compensation claims that could arise from your employees; specifically, claims relating to an injury or illness they sustained due to their work for you. If negligence is proven, insurance covers the cost of any compensation awarded to an employee and will also cover your legal fees. It applies whether accidents or illness occur on or off site and it applies to both current employees and those who have left your business. Contractors all risk insurance is an important policy to have in place if you are a tradesman or contractor. This type of insurance offers one of the most comprehensive methods for protecting building works and the tools, plant and equipment on a construction site. Contractors all risk insurance is cover provided against the theft, loss or damage of all your tools, plant and equipment, including those which have been hired for use on the site. 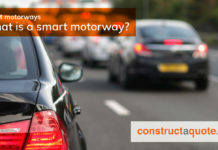 A CAR policy can also cover temporary buildings such as on-site houses, architects drawings, show home contents. Third Party Only– Minimum level of cover. This covers costs of third party vehicles you may cause damage to in an accident. Does not cover your vehicle for damages. Third Party Fire and Theft– covers repair costs of third party vehicles you may cause damage to in an accident and costs associated with either fire damage or theft of your vehicle. Comprehensive Cover– covers costs associated with both third parties and your own vehicle. This level of cover will usually include costs for liability, replacement vehicle, windscreen cover and more. It’s vital you get the right insurance cover before you start your business in order to protect you in the eventuality of any accident or damage. Failing to get the right policy in place could leave you with expensive legal fees and compensation costs – not what you want when you’re just starting a new business. 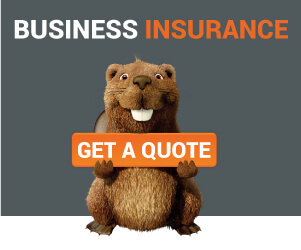 For advice on the best insurance policy for your business, speak to the construction, tradesman and small business insurance experts at constructaquote.com. As obvious as it may sound, you need to be prepared to take on work and be in a position to say yes to jobs that come your way. To do this, start looking for the right van and building up your collection of quality construction tools and equipment. If you’re not sure where to start with buying a van, checkout our guide to buying a commercial van here. Now that your business is all set up and ready to go, it’s time to get customers and make some money! Here are some marketing methods to consider to get your name out there and win customers – You don’t have to do them all. However a blended approach to all will work best. Business cards – Although business cards can seem dated, they’re still useful when meeting new people and keeping in touch. Make sure your business cards are clear to understand with your name, number, email and website. If you want to stand out and make people remember you, go for a logo or design that reflects that. Van branding – Simple yet effective, branding your van is a great way for people to notice you and get in touch. Like business cards, choosing a design, logo or catchy phrase will help you to stand out from an industry that is saturated with white vans. Networking – When it comes to networking, finding the time can be a challenge as every paid hour of work counts, and no one wants to miss out on paid work to network. However, networking is a great way to meet new people and potentially pick up new business. The key is to be selective and only go to the events where potential customers may be – not events that are full of other people like yourself. Website – We live in a digital age, and most people will check you out online before doing business with you. The first thing most customers will do is google you, so it’s important to make sure that what ever appears shines you in a good light. Setting up a website is a good place to start. You can use it to let people know what services you offer, list any price information, feature a portfolio of any previous work and details of how to get in touch with you. Another important aspect of a website should be a blog which demonstrates your knowledge of the industry. Creating helpful content will give people confidence in working with you. ‘How to’ blogs or videos are a great way to do this. Websites don’t have to be hard work or cost the earth, and most people are capable of setting one up in just a few hours for about £150. 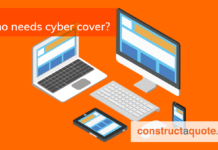 Accreditation and referral sites – Becoming accredited on websites such as ‘SafetTrades4You’ and ‘CheckATrade’ are a great way to build up your credibility in the construction industry. Customers will have peace of mind knowing you’ve been vetted and can do a good job, however, you will need to do some work first to build up customer referrals. Recommendations – Nothing beats the power of word of mouth marketing. If you provide great service and results for your customers and clients, naturally they will recommend you to their friends and other businesses. Most people these days post on social media to ask their friends for recommendations. Social media – Social media is a great way for you to reach an audience in your area and let them know what you do. Spend a few minutes a day to engage with people and offer your knowledge if anyone has any questions you can help with. You should also share any content you have on your website to social media so that people perceive you as the expert in your field and choose you to do business with. Before and after images of construction projects are a great way to do this. Although it can seem overwhelming, marketing yourself as a Tradesman/contractor/business owner doesn’t have to be hard work. Allocating just a few minutes a day to be social or a few hours a week to create content will help to boost your profile and win you more business.